WALKSTRONG ~ www.walkstrong.ca: " Cigarettes And Valentines ... "
" Cigarettes And Valentines ... "
A time to show appreciation for that special someone in your life. A time to take a relationship to the next level. A time to celebrate love. But why do we require an assigned date full of expectations? Do we set ourselves up to be disappointed? Do we sabotage our relationship? Personally, I feel that Valentines Day can harm your relationships. Mainly because there is something stirring around this much-anticipated romantic holiday. When loved ones don’t live up to the lofty cultural ideas associated with this holiday alternatives might start to look a bit more interesting. Relationship that are struggling may completely break under the pressure of Being Mine. And in some causes, this holiday may just emphasize just how much effort your partner is willing to put in ... or does it? If you are blessed to have a rock solid partner, no holiday let alone Valentines Day can be do harm. Because you don’t require Hallmark or anyone else to decide when, how and why you express your love. It is within you, it is a part of you and it is who you are. Having a designated day can be an opportunity then to do something for someone but it doesn’t have to be the only day. Valentines Day is a beautiful day to express your love ... but why only one day? 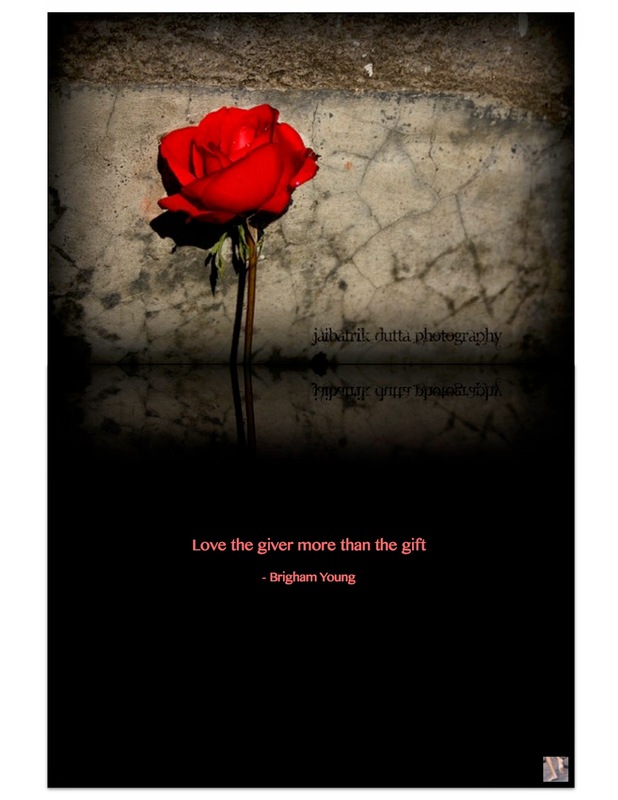 What holds us back from doing something nice for those we love on February 13th or on Sunday? If you knew that you only had a limited time with those you love, wouldn’t you tell them every chance you got? Does that make you vulnerable or does that make you wise? And are we afraid our love would be reciprocated and therefore we shy away on the basis of rejection?
" My body, my choice, my life, my death ... "
" Be Prepared ... "
" Show Up ... "
" Count On Me ... "